Counterbalance Brewing Company launches two new beers in conjunction with Seattle Beer Week. 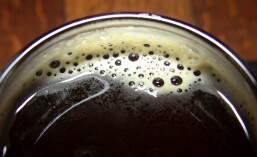 A launch party for Storm Cycle Cascadian Dark Ale, brewed in collaboration with Flying Bike Co-operative Brewery and Tony Ochsner of Micro Homebrew, will take place at the Counterbalance Taproom on Friday, May 8 from 4:00-8:00pm. Bread & Circuses food truck will be on site providing elevated beer-centric cuisine to accompany this winner of Flying Bike’s CDA competition among 19 recipes voted on by over 200 members of Washington’s first co-operative brewery. The festivities will continue on Saturday with Charlie’s Buns ‘n Stuff on site and extended Counterbalance taproom hours (2:00-9:00pm) for Georgetown Art Attack. Storm Cycle CDA will be available at the Counterbalance taproom and for local wholesale distribution while supplies last. Wednesday, May 13 will mark the launch of Counterbalance Brewing Company’s summer seasonal Wheat Ale at the Counterbalance taproom. This bright and juicy American wheat ale shows citrus and floral notes and is an invigorating seasonal addition to the Counterbalance beer lineup and will be available at the Counterbalance taproom and for local wholesale distribution throughout the spring and summer months. To wind down Seattle Beer Week, Charlie’s Buns ‘n Stuff will be on site again Friday, May 15, and the Hot Dog King will be cooking Saturday, May 16. Counterbalance Brewing Company, owned and operated by Jeff Howell and Frank Lawrence, opened its taproom doors and launched wholesale distribution February 4, 2015. 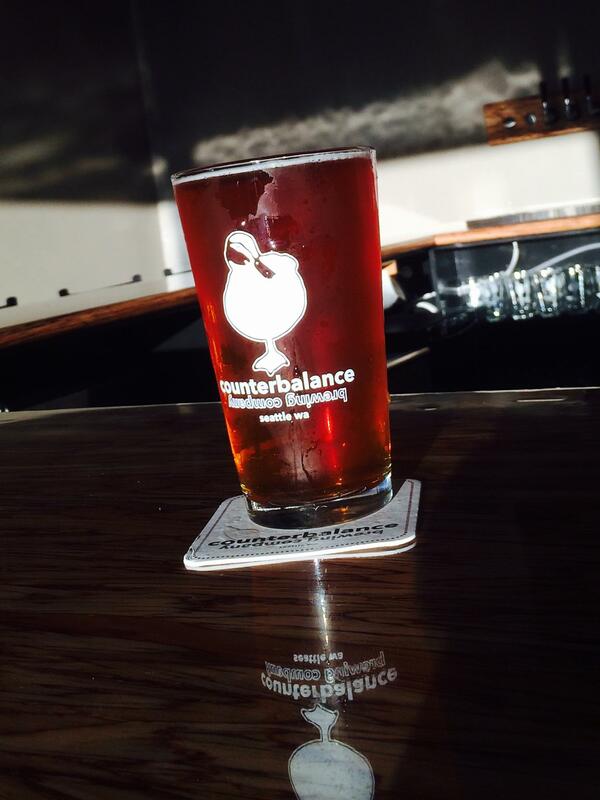 Counterbalance beers are available to bars and restaurants in Seattle and Western Washington, with packaged beer to follow later in 2015. Counterbalance’s core beers are flavor-forward yet accessible and well balanced, made for a wide range of palates. Storm Cycle CDA marks an important milestone for Flying Bike. It’s the last beer they will need to have brewed in collaboration with another brewery, since they are currently building our their brewery in Greenwood and have hired their head brewer. I think Counterbalance was a great choice for their last collaboration and I’m looking forward to trying Storm Cycle CDA for myself. Along with the addition of their seasonal Wheat Ale, Counterbalance has built up an impressive lineup of beers in the few short months they’ve been open. If you haven’t had the chance to visit them yet, I suggest you try to attend one of these SBW#7 events and check them out. You won’t regret it. This entry was posted in Beer, Beer Release, Brewing, CDA, Collaboration, Events, Food, Seattle, SoDo, Spring, Washington, Washington Beer and tagged 2015, beer, Counterbalance Brewing, events, Flying Bike, Food, May, seattle, Seattle Beer Week, SoDo. Bookmark the permalink.